Sarah leads the Interdisciplinary Conservation Science Research Group (ICON Science). 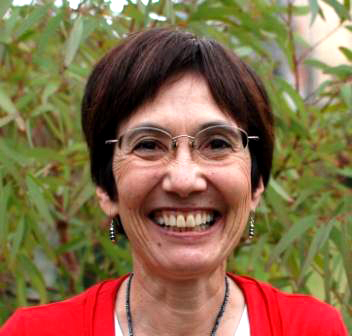 She is a Professor and ARC Future Fellow at RMIT’s School of Global, Urban and Social Studies and a researcher in the ARC Centre of Excellence for Environmental Decisions (CEED) and in two National Environmental Science Program (NESP) hubs (Threatened Species and Clean Air and Urban Landscapes). She is interested in the intersection between science and policy in environmental management and is currently involved in an interdisciplinary range of research and consulting projects, including an ARC Future Fellowship titled ‘Socio-ecological models for environmental decision making’. 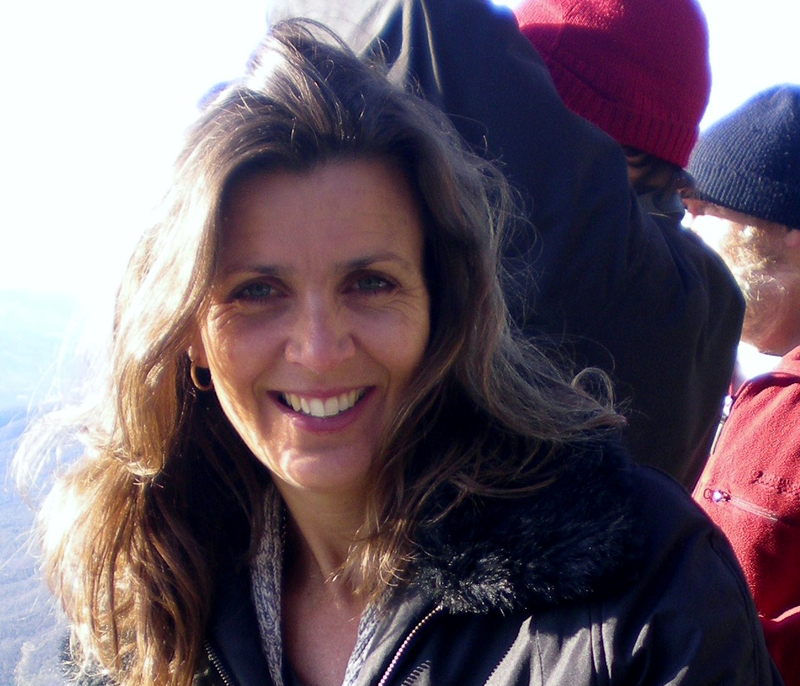 Her research interests include threatened species management, environmental decision analysis, population and landscape modelling, urban ecology and education for sustainability. Ascelin is a Vice-Chancellor’s Senior Research Fellow with ICON Science. He works as part of the ARC Centre of Excellence for Environmental Decisions and the National Environmental Research Program. Ascelin’s research focuses on developing modelling approaches for understanding the impacts of environmental policies on biodiversity values in the landscape. His research interests include conservation planning and spatial prioritisation, dealing with uncertainties in conservation, setting priorities for conservation investment, population modelling and conservation on private land. Georgia is a Senior R esearch Fellow with ICON Science. She is a quantitative ecologist and has worked on projects related to urban biodiversity conservation, imperfect detectability and conservation decision making. She currently works as part of the National Environmental Science Programme Threatened Species Recovery Hub, where she co-leads a project investigating how to increase community buy-in to threatened species conservation through better communication and engagement. 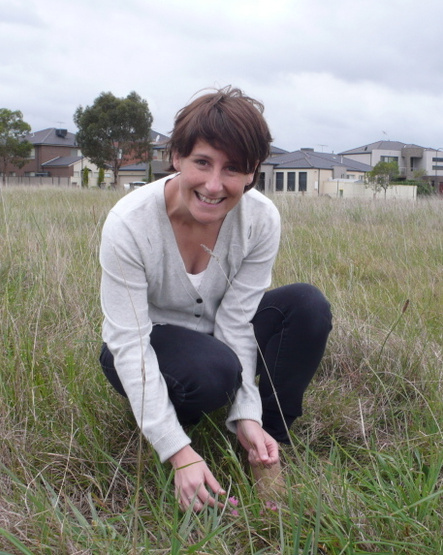 Georgia’s recent research investigated better planning for biodiversity in urban environments and her protocol for Biodiversity Sensitive Urban Design was nominated as a finalist in the 2016 Banksia Sustainable Cities Award. Freya is a Research Fellow with ICON Science. She is a quantitative plant ecologist, who adores plants and whose work has previously focused on developing predictive trait-based models of plant growth. She has also spent time working on designing and implementing long term monitoring programs for riparian vegetation in Victoria. Freya’s current research at RMIT investigates the design of green spaces in urban areas for biodiversity and human well-being. Thami is an urban planner and spatial analyst with a specialist interest in urban greening, with a history of delivering greening projects and policy in Melbourne’s most urbanised spaces. He currently is part of an international project team advising the European Union on planning for urban greening; over the next three years Thami will facilitate the development of greening plans for eight cities around the world. Alex has a background in law and environmental science, and has previously worked in various policy roles for the Commonwealth and Victorian Governments. His PhD research, supported by the ARC Centre of Excellence for Environmental Decisions (CEED), explored the use of message framing to enhance conservation messages. 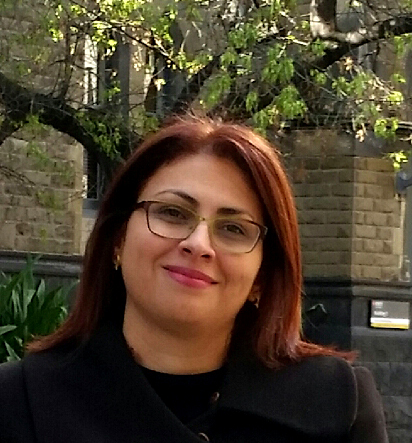 Nooshin’s PhD explored the socio-cultural drivers of private landholders who participate in biodiverse carbon plantings on their properties. 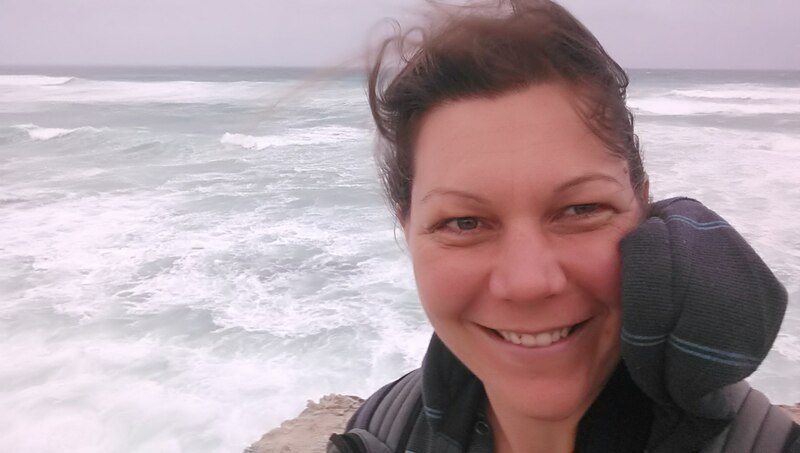 Holly is an ecologist who is fascinated by how animals move around their environment, from foraging fairy-wrens to migrating monarch butterflies. 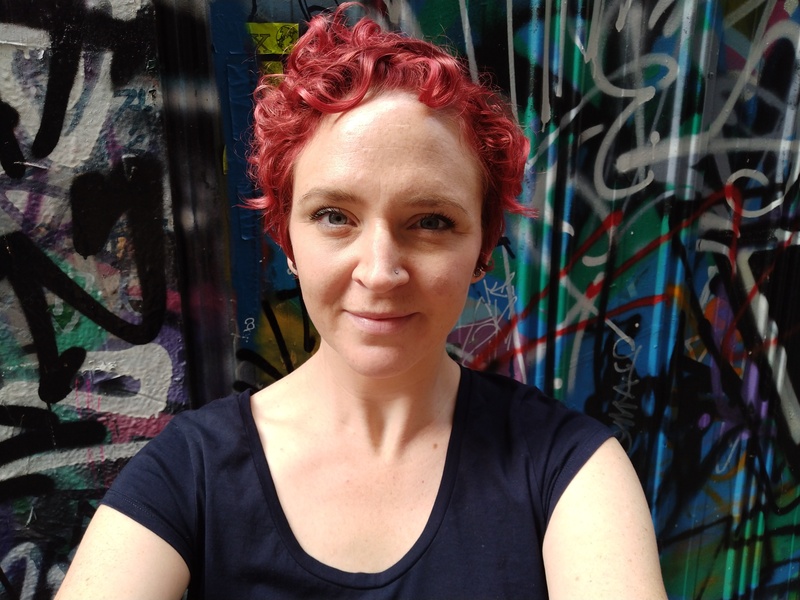 She is currently working in the ICON Science group investigating movement ecology in urban birds as part of an Endeavour post-doctoral fellowship. 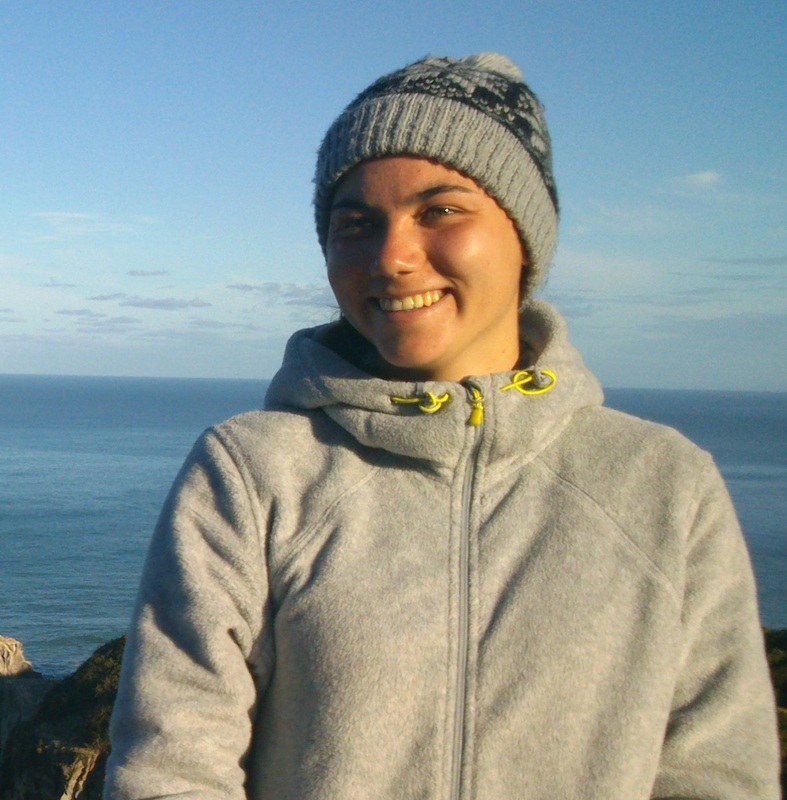 Before joining RMIT University, Holly completed her PhD studying migration and behavioural ecology in UK seabirds. Here she developed a keen interest in using miniaturised technology to eves-drop on secretive animal species. Jeremy is a quantitative ecologist and conservation scientist specialising in terrestrial vertebrates. Jeremy completed his PhD in Australian mammal conservation in 2016 and has since held postdoctoral position at the University of Hawaii, investigating the impact of feral pigs on threatened plant communities, and the NESP threatened species hub 4.1 project, prioritising conservation action for introduced predator affected Australian mammals. In Jeremy’s current position at RMIT he is investigating the use of climatic predictor variables in species distribution modelling. Anna is a PhD student with the ICON Science. Anna is investigating the benefits of the novel ecosystem concept for environmental management in highly modified systems. 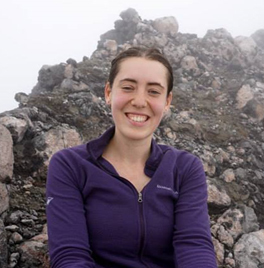 Katie is a PhD student investigating drivers of biodiversity change and function in urban landscapes. Her passion for conservation biology and curiosity for understanding natural phenomena has led to a diverse research background in animal behaviour, spatial analysis, invasion biology and ecological theory. During her candidature she will investigate how plant choice, local environment and landscape context influence colonisation and persistence of animals in cities, with the aim of informing design guidelines for urban greenspaces. Helen is a PhD candidate investigating the relationship between biodiversity values and amenity values of urban waterway corridors and the implications this has for environmental management. She has a Bachelor of Applied Science in Environmental Management from Deakin University and a Masters Degree in Forest Science from the University of Melbourne. Her passion for the environment has led her into a number of interesting career positions – from Park Ranger to River Health Officer to teaching in the Conservation and Restoration sector. She believes in putting theory into practice and has extensive experience with working with members of the community to enhance their understanding and enjoyment of the environment whilst undertaking conservation work. Florence is a PhD candidate investigating the relationships between the stakeholders involved in offset policies. She aims to better understand how different sets of values and governance systems impact the design and implementation of offset policies and their ecological outcomes. Her PhD is part of an Australian Research Council Discovery Project entitled “Evaluating environment policy that has immediate costs but long-term gains”. Florence has a Bachelor in Political Sciences from Paris Institute of Political Studies (Sciences Po) and a Master in Economics and Public Policy from Sciences Po and École Polytechnique. During her studies she worked with various stakeholders in the fields of environment and biodiversity conservation in Australia, France and the Middle-East. Emily is a PhD student working on improving communications in order to increase community buy-in to threatened species conservation. She has a Bachelor of Science (Zoology) and a Master of Science (Zoology) from the University of Melbourne, where she investigated the feasibility of a ‘waterless barrier’ in halting toad spread through Western Australia. She has also recently completed a research internship with the Arid Recovery reserve, where she worked on anything from annual trapping surveys to community engagement. Marco is a PhD student investigating the performance of impact assessment practice in integrating biodiversity and ecosystem services considerations into decision-making. He aims to better understand whether approaches such as environmental impact assessment and strategic environmental assessment are effective from a conservation viewpoint. Marco has a Bachelor of Environmental Engineering from ITESO University in Mexico and a Master of Environment (Sustainable Cities, Sustainable Regions) from the University of Melbourne. He has worked as an environmental regulator and consultant in Mexico. Mat is a PhD candidate investigating decision theoretic approaches to private land conservation in Australia, supported by RMIT University and the Australian Research Council Centre of Excellence for Environmental Decisions. He is particularly interested in the use of conservation covenants and revolving funds for protecting biodiversity on private land. Mat has a research background in ecology and conservation, and has worked previously in the private land conservation, landscape restoration and water management fields, predominantly in the non-government sector. Mat has a deep underlying interest in biodiversity conservation, particularly on private land and its contribution to landscape scale conservation efforts. Sarrah is a PhD candidate. She is an Architect with a Masters degree from Queensland University of Technology. Her professional and research agenda is focused on improving how the built environment can be better designed to support biodiversity in urban areas. Before starting her PhD she worked as a research assistant alongside Luis Mata and other colleagues on developing a survey to identify charismatic species. David Meiklejohn is a PhD candidate researching the effectiveness of behaviour change programs delivered by Australian local governments responding to climate change. He is using a framing of climate change as a “super wicked problem” to analyse current approaches and identify alternatives for future testing. David has worked on behaviour change programs for 16 years in Australia and the UK, including establishing the TravelSmart Workplaces program in Victoria. He currently works as the Executive Officer for the Northern Alliance for Greenhouse Action (NAGA), a network of nine Melbourne metropolitan councils working together on climate change projects. Matthew is a PhD candidate investigating human behaviour in incentivised conservation programmes. 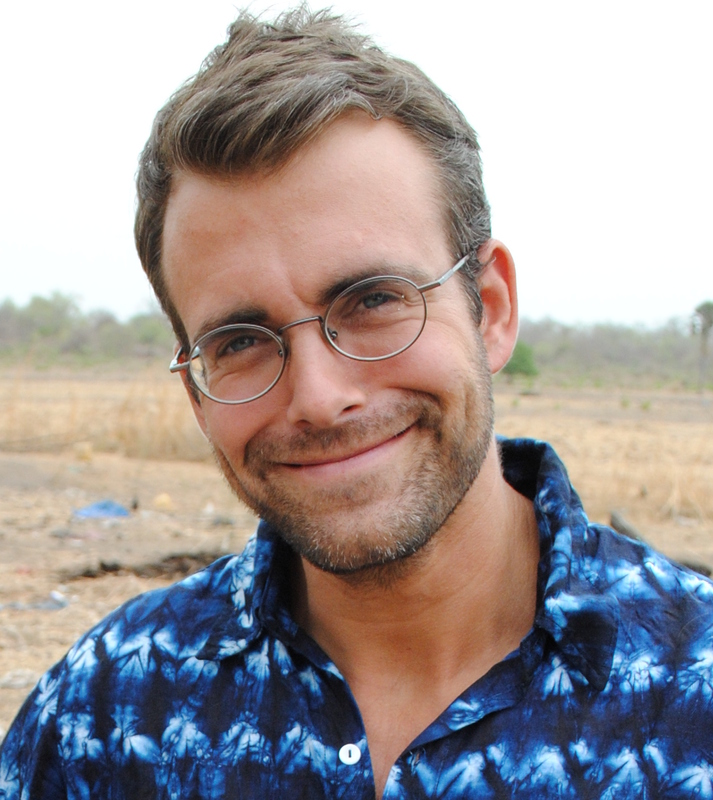 As an undergraduate at the University of Minnesota, Matthew graduated with a Fisheries and Wildlife degree and received his Conservation Science MSc from Imperial College of London. Matthew’s previous research focuses on the effectiveness and social outcomes of voluntary stewardship programmes on private lands in South Africa. His work experiences include landscape restoration in the US Midwest, urban habitat restoration and community engagement in New York City, and six years in West Africa in protected area management and primate conservation. Matthew’s research is supported by RMIT University and the Australian Research Council’s Centre of Excellence for Environmental Decisions. Blythe Vogel is studying a Master of Science (BioSciences) at the University of Melbourne in collaboration with ICON Science. She is studying plant-insect pollinator interactions in urban parks within Melbourne, and in particular how we can engage citizen scientists to conduct this research. Through her research, she hopes to make observing pollinators more accessible and enjoyable to the public. 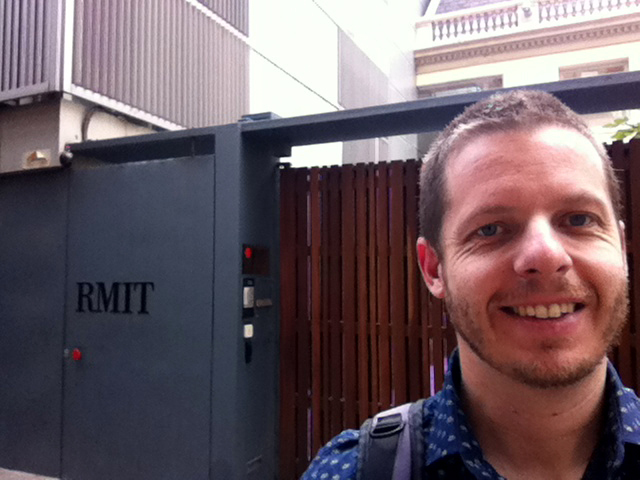 Luis is a Research Fellow with CUR at RMIT and an Associate Member of the Centre of Excellence for Environmental Decisions (CEED). He is an ecologist with an interest in insects, urban biodiversity and conservation science. He works as part of the NESP – Clean Air and Urban Landscapes Hub (CAUL), where he co-leads a project assessing the benefits of greening actions in an ‘Integrated Network of Study Sites’. He is also involved in a project titled ‘Bringing nature back into cities, where he is developing decision-making tools to evaluate which species would be best to bring back. Luis is exploring the use of citizen science to raise awareness of the importance of beneficial insects in cities, and is involved in developing a photo-preference survey to identify charismatic animal species through a web-based ‘Public Elicitation’ platform. Luis also leads The Little Things that Run The City and Our City’s Little Gems projects, which are studying plant-insect interactions and insect-habitat associations across the City of Melbourne. He is a co-author of the children’s book ‘The Little Things that Run the City – 30 amazing insect that live in Melbourne‘. Luis enjoys discovering and learning from nature through photography. Ben completed his PhD in the ICON Science in 2013. 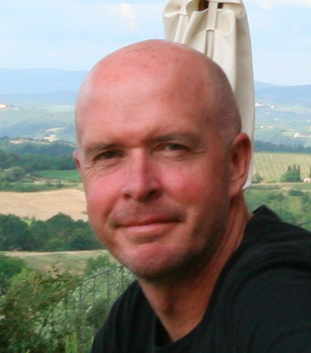 He is currently a Lecturer in Sustainability and Urban Planning in RMIT’s School of Global, Urban and Social Studies. As a research assistant, Kate worked alongside Luis Mata and other colleagues curating the insect specimens from ‘The Little Things that Run the City‘ project. She studied a Bachelor of Law (Hons)/ Science (Environment) at Griffith University, Queensland. Following graduation she worked with the Queensland Government in water planning. She later moved to Waiben (Thursday Island) to work with the Torres Strait Ranger Program. Kate recently finished a Master of Science (Botany) at the University of Melbourne. She is passionate about insect ecology, private conservation, Indigenous Caring for Country programs, art and science communication. 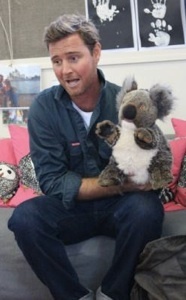 Rich has a Bachelor of Science (Zoology) degree and a Master of Environment (Conservation, Restoration and Landscape Management) degree, both from the University of Melbourne. He has spent many years working as a Ranger, ecologist and land manager promoting wildlife conservation across Australia. He has worked in the remote Kimberley region of Western Australia, on Phillip Island, the Mornington Peninsula and South East Queensland. Internationally he has worked on and visited projects in Spain and East Timor and spent 6 months living in Central Kalimantan (Borneo) on a fellowship for release work on Orangutans and Sun Bears. Since returning to Melbourne Rich has started a small not-for-profit organisation called ‘Reach Out For Wildlife’ and focuses on environmental education for young children. While working for ICON Science, Rich investigated the national effort going into feral cat control. He is now the Vertebrate Pest Program Ranger at Phillip Island Nature Parks. Lea is a Landscape Architecture student (B.Sc.) from Germany working. During her internship research semester (September 2016 – February 2017) at ICON Science she worked with Sarah Bekessy and Luis Mata on a systematic review of the urban green space literature to understand the current state of the knowledge regarding the demonstrated and potential biodiversity and human well-being benefits contributed by urban green spaces. She also sought to identify the range of potential explanatory and response variables that could be extracted from the literature, and to develop a protocol to use the acquired data in a meta-analysis framework. 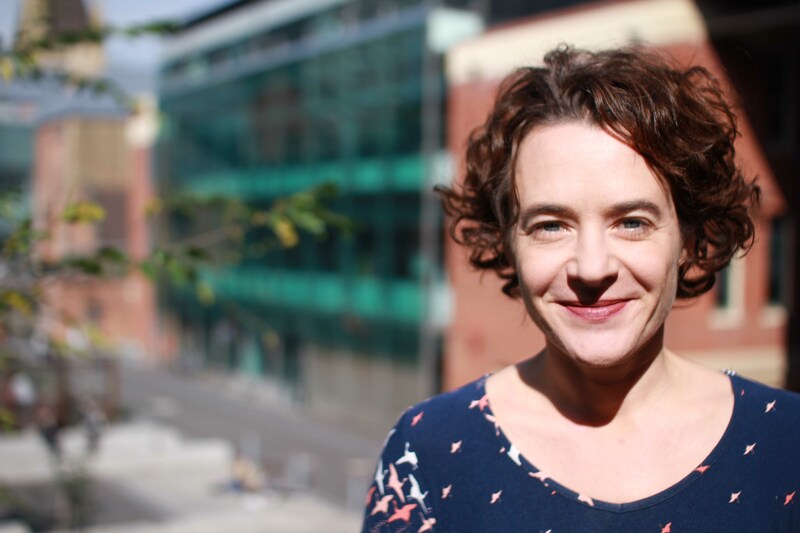 Fiona is an ARC Future Fellow based at the University of Melbourne. She is a psychologist, with a PhD in philosophy of science. Amongst other things, she is interested in: how scientists and experts make decisions; methodological and statistical controversies; statistical reasoning; research ethics and scientific integrity. Her current research aims to improve the integration of social/behavioural science and conservation science. 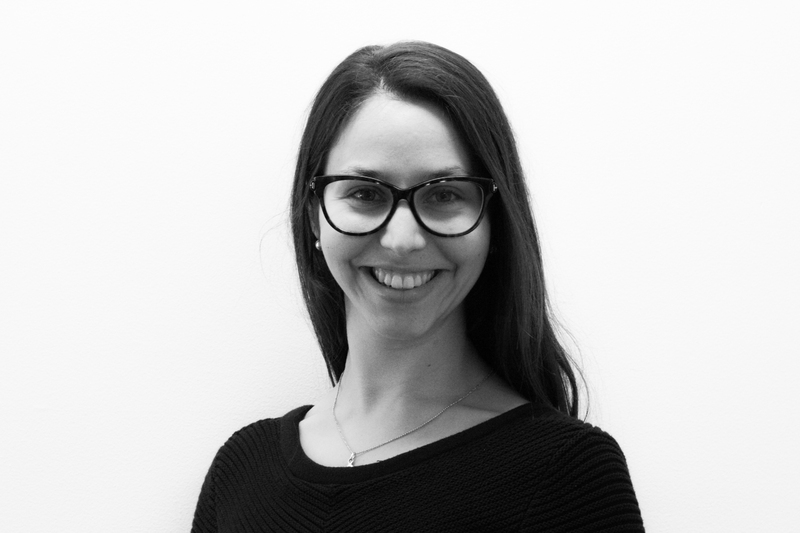 Natasha was a research assistant working on a project with Mathew Selinske investigating the motivations that drive landholders to place covenants on their land as well as their level of satisfaction with the covenant managing authorities. This project was commissioned by the Australian Land Conservation Alliance (ALCA) and is being conducted across New South Wales, Tasmania and Victoria. She completed her MSc in Conservation Science at Imperial College, London last year and then worked for six months in South Africa evaluating South African Breweries’ “Better Barley, Better Beer” programme – designed to improve economic, environmental and social practices on the farms that supply the brewery’s barley. 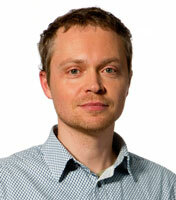 Chris is an Assistant Professor in the School of Geography at the University of Nottingham (UK). He was previously a Postdoctoral Researcher in the Faculty of Sustainability, Leuphana University (Germany), where he worked as part of the project Leverage Points for Sustainability Transformation, funded by the Volkswagen Stiftung, via the ‘Science for sustainable development’ call. He explored how reconnecting people with nature can assist us transition to a more sustainable society. His interests also lie in understanding the functioning of cities as socio-ecological systems and how science can be used to inform plans and policies related to biodiversity conservation. Chris has a diverse research background, having worked on projects in the fields of riparian ecology, urban planning and social psychology. As part of the National Environmental Research Program (NERP), Chris worked with ICON Science on a project investigating how urban open space contributes to biodiversity conservation and human well-being, and how it should be considered in regional planning strategies. 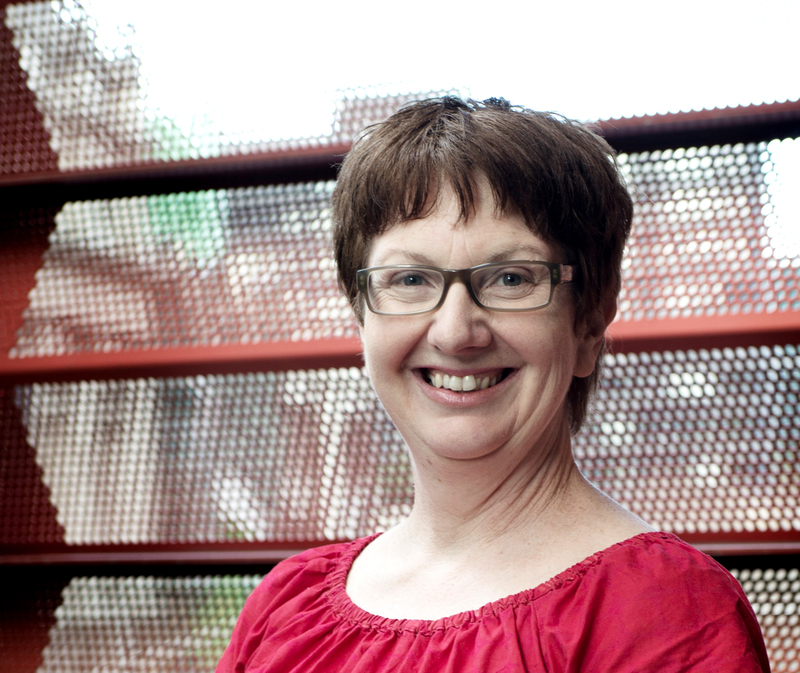 Laura is a Vice-Chancellor’s Postdoctoral Research Fellow in RMIT’s Centre for Urban Research. Laura has worked for many years in wildlife conservation and community engagement with a professional career in the zoo industry and board positions involved with nature conservation, land care research and natural resource management. In her PhD with ICON Science, Laura explored how an urban community can build capacity to sustain its indigenous biodiversity and wellbeing through a wildlife gardening conservation collaboration. Her current research investigates how to nurture sustainable citizen-local government nature stewardship collaborations, how to understand and improve their social and ecological impacts, and how to link community efforts with regional and state planning and policies. While at ICON Science, Cathy worked with Chris Ives on the National Environmental Research Program (NERP) project investigating how urban open space contributes to biodiversity conservation and human well-being. She is currently a Councillor at the City of Melbourne, and Knowledge Broker for the National Environmental Science Programme Clean Air and Urban Landscapes Hub, based at the University of Melbourne. 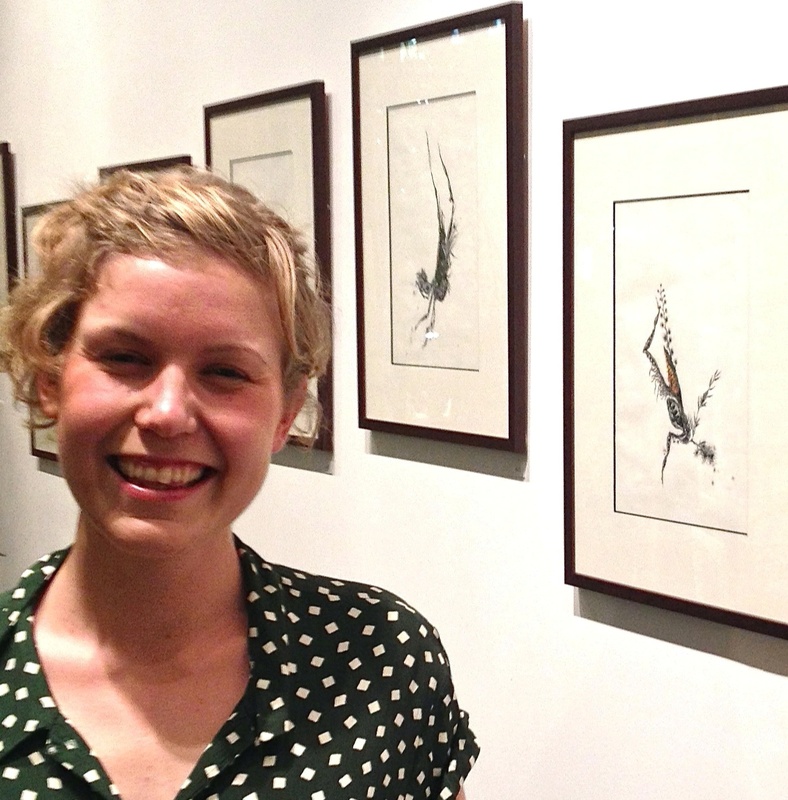 Tessa was a research assistant working on the ‘The Little Things that Run the City’ project. She has a Bachelor of Science (Monash University) with Honours (Deakin University). Her honours thesis entitled ‘The consequences of marine-derived avian nutrient input into island ecosystems: Palaeoecological insights from Rimatara, French Polynesia’ focused on palaeoecology and human impacts on a Pacific Island. Tessa has teaching experience from Deakin University where she tutored SLE101: Techniques in Environmental Science and SLE102: Physical Geography. She would like to continue pursuing her interests in palaeoecology, ecology, geology and science communication with further study. Simon is a landscape architect and urban designer. He worked with Georgia Garrard and Sarah Bekessy to investigate better planning for biodiversity in the urban environment, a research project funded by The Myer Foundation. As a design professional he has worked for local governments and companies in Denmark, the Netherlands, New Zealand and Australia. 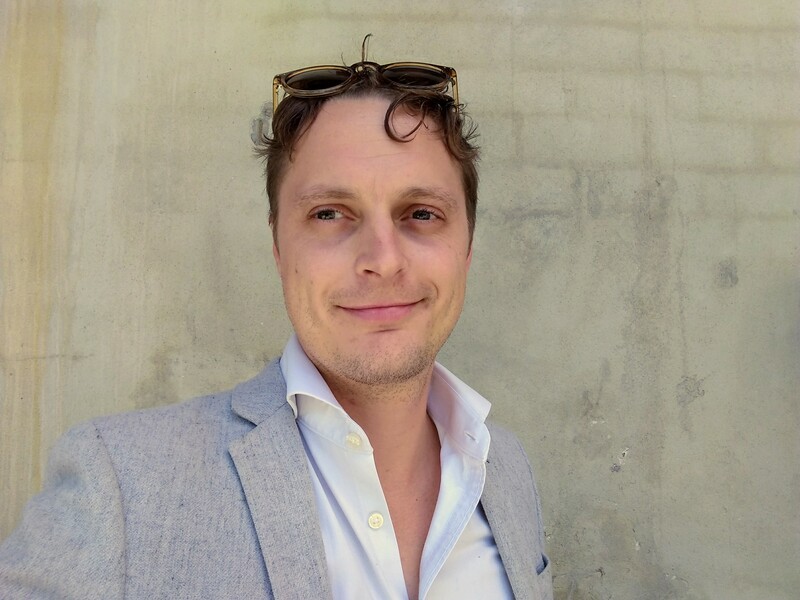 He has a Bachelor of Science in Landscape Architecture from VHL University in Boskoop the Netherlands and a Masters Degree in Urbanism from the Amsterdam Academy of Architecture. Simon has a particular interest in biodiversity in relation to architecture, urban design and planning. He is passionate about landscape architecture being a discipline to promote ‘nature inclusive urban design’ and improvement of urban environments. Simon is now working as a senior urban designer at the City of Melbourne.